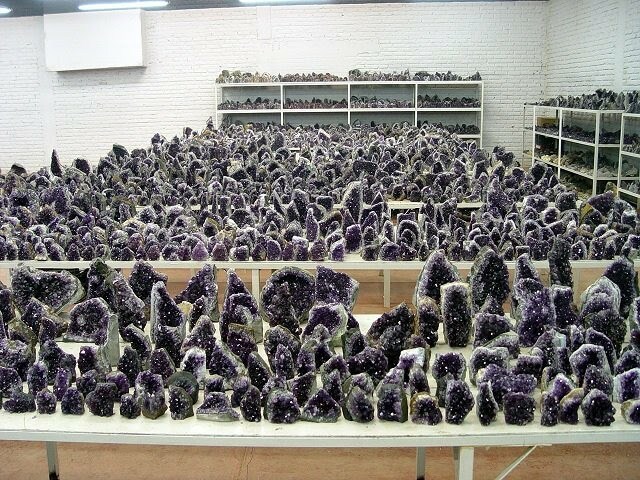 The serious work and the quality of our products are one of the characteristics of our company.We are one of the greatest extractor of Agates and the greatest one of Amethysts in Uruguay.We extract at the moment about 40% of the stone production of amethysts in Artigas and are also extractors of agates. At the moment the company operates the 20 % of the total land with good stone concentration in its possession. We also have more territory in study, to define the probable quarries. 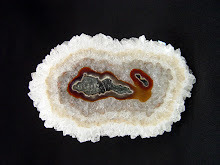 Company employers: There are 25 employers in the mine of NINA (situated in "Catalán Seco") working daily in the extraction of agates, in his classification and packing. In the quarry "Santiño", 12 employers work in the galleries (tunnels) in the amethyst extraction.In the factories there are 18 people working in 5 groups with different specializations, adding, in the processes of carved, cut, prepared and polished of amethysts.The administration is made by 3 directors and 4 administrative; with the support of an accountant, a notary public, a lawyer, and the customer office in Montevideo. Complete the team the heavy machinery with retro bulldozers and trucks to transport the stones to the capital and Port, Montevideo, where the stones are shipped to the whole world.